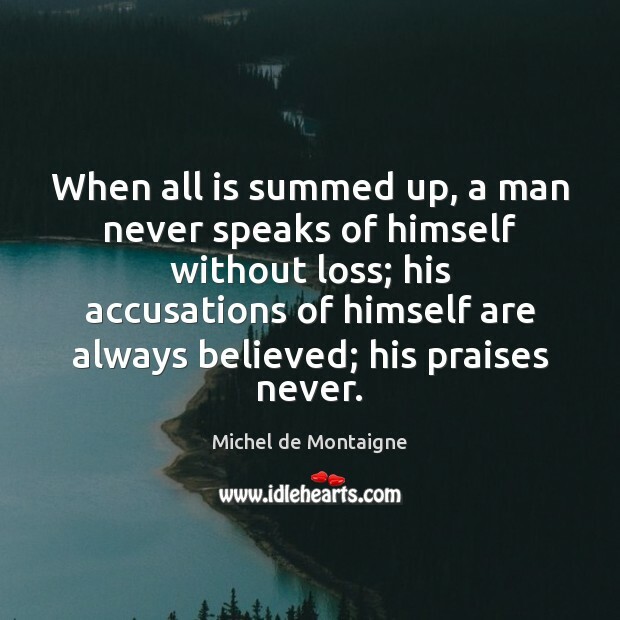 Quotations about Accusation. Quotes to stimulate mind and drive action! Use the words and quote images to feed your brain inspiring things daily! 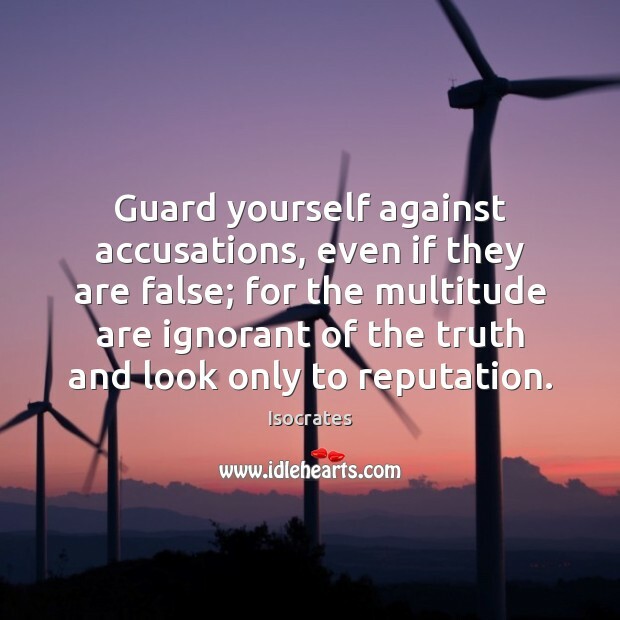 Guard yourself against accusations, even if they are false; for the multitude are ignorant of the truth and look only to reputation. 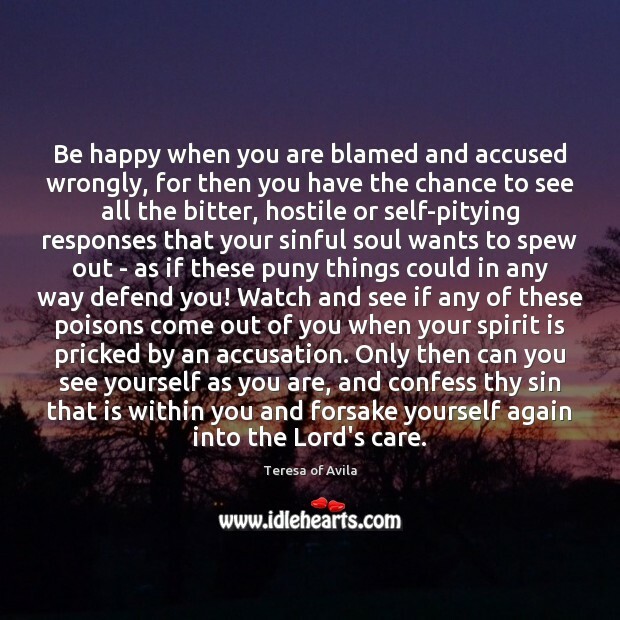 Be happy when you are blamed and accused wrongly, for then you have the chance to see all the bitter, hostile or self-pitying responses that your sinful soul wants to spew out - as if these puny things could in any way defend you! Watch and see if any of these poisons come out of you when your spirit is pricked by an accusation. Only then can you see yourself as you are, and confess thy sin that is within you and forsake yourself again into the Lord's care. 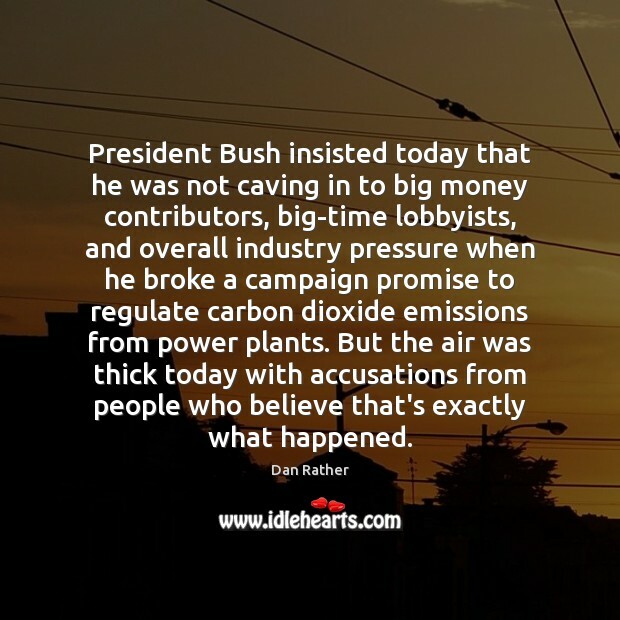 President Bush insisted today that he was not caving in to big money contributors, big-time lobbyists, and overall industry pressure when he broke a campaign promise to regulate carbon dioxide emissions from power plants. 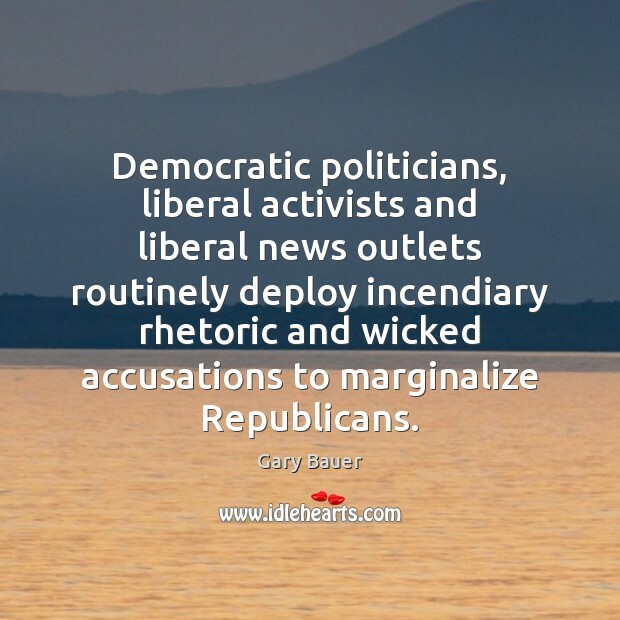 But the air was thick today with accusations from people who believe that's exactly what happened. 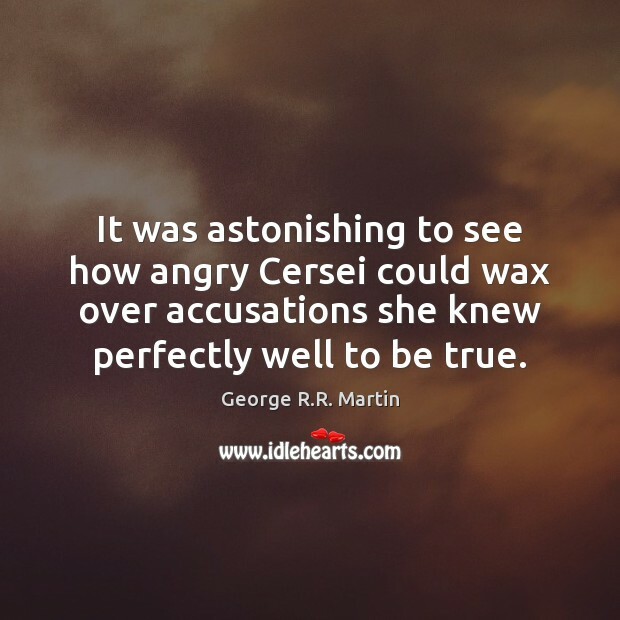 It was astonishing to see how angry Cersei could wax over accusations she knew perfectly well to be true. 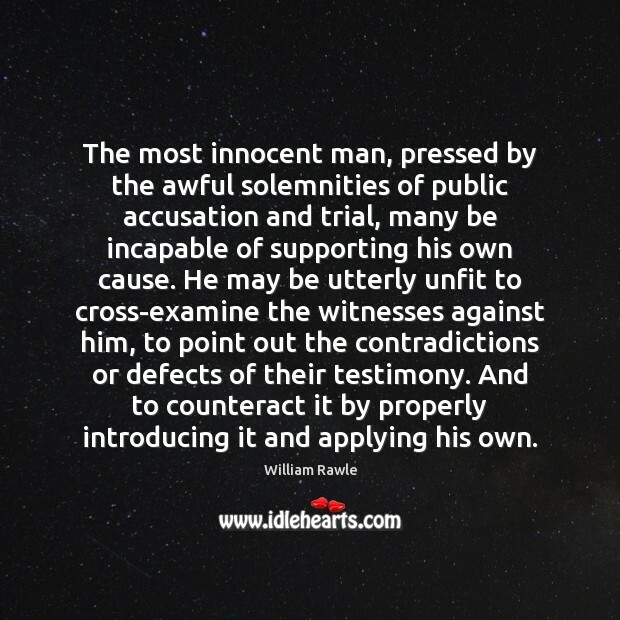 The most innocent man, pressed by the awful solemnities of public accusation and trial, many be incapable of supporting his own cause. He may be utterly unfit to cross-examine the witnesses against him, to point out the contradictions or defects of their testimony. And to counteract it by properly introducing it and applying his own. 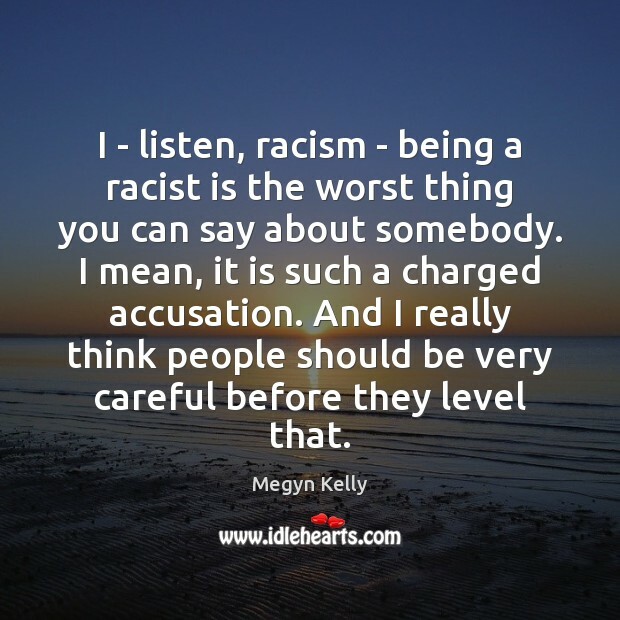 I - listen, racism - being a racist is the worst thing you can say about somebody. I mean, it is such a charged accusation. And I really think people should be very careful before they level that. 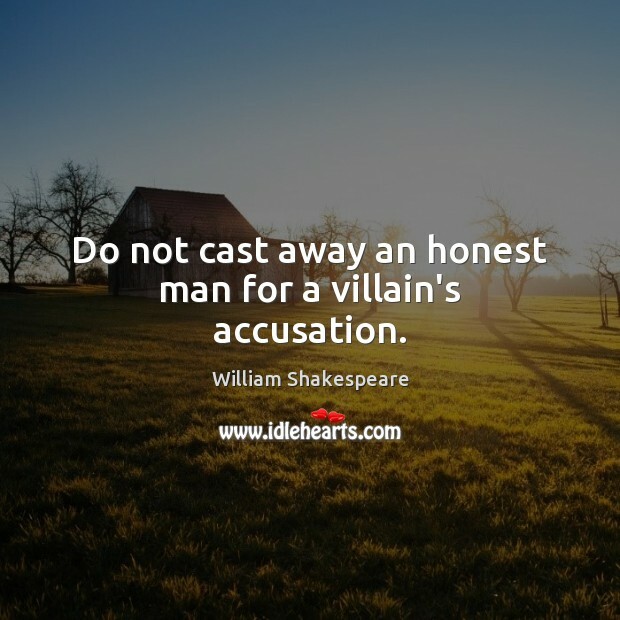 Do not cast away an honest man for a villain's accusation. 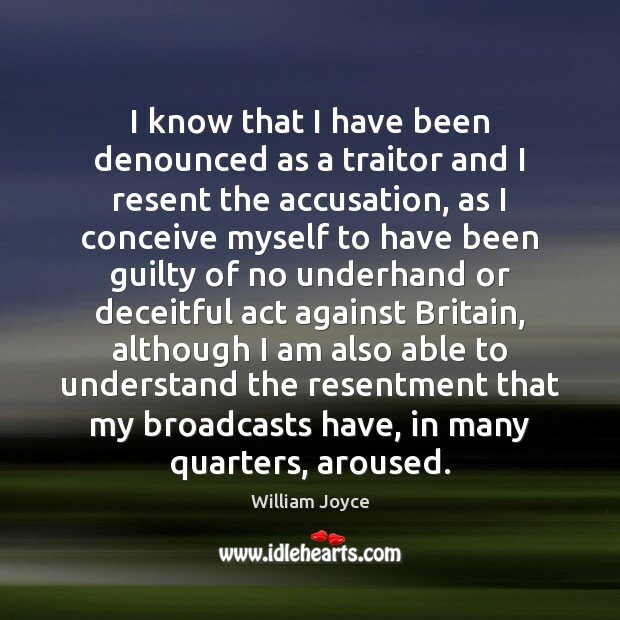 Well that's true, and what is actually happening now is that there are accusations that those records contain conspiratorial information that has been concealed from the American people and that is a dangerous situation that just cannot be tolerated. 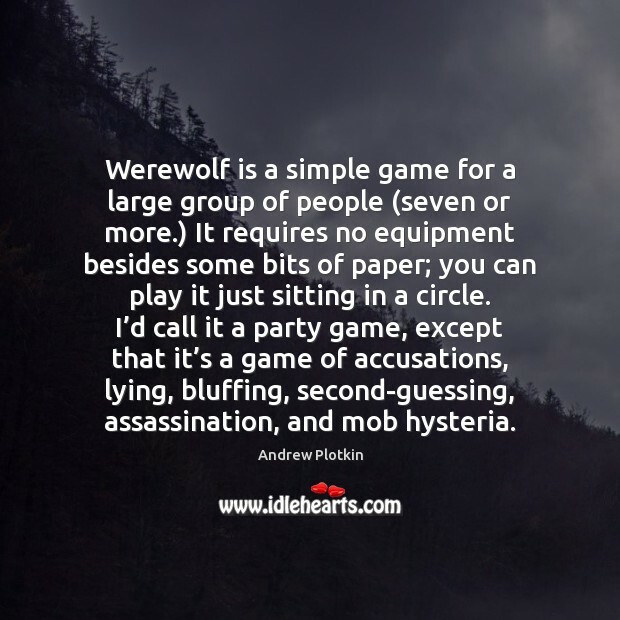 Werewolf is a simple game for a large group of people (seven or more.) It requires no equipment besides some bits of paper; you can play it just sitting in a circle. I’d call it a party game, except that it’s a game of accusations, lying, bluffing, second-guessing, assassination, and mob hysteria. 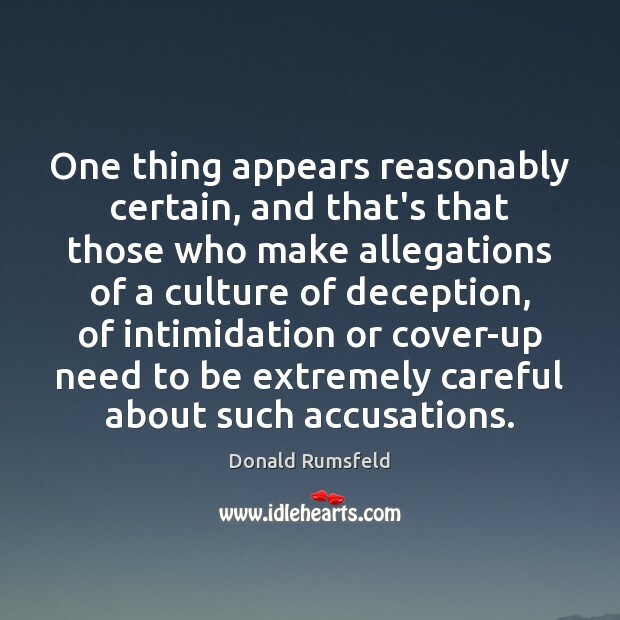 One thing appears reasonably certain, and that's that those who make allegations of a culture of deception, of intimidation or cover-up need to be extremely careful about such accusations. The function of education has never been to free the mind and the spirit of man, but to bind them; and to the end that the mind and spirit of his children should never escape, Homo Sapiens has employed praise, ridicule, admonition, accusation, mutilation, and even torture to chain them to the culture pattern. 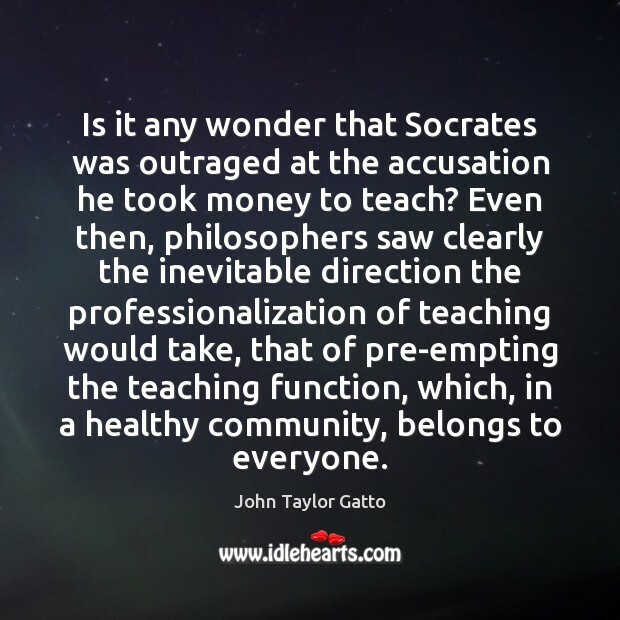 Is it any wonder that Socrates was outraged at the accusation he took money to teach? Even then, philosophers saw clearly the inevitable direction the professionalization of teaching would take, that of pre-empting the teaching function, which, in a healthy community, belongs to everyone. 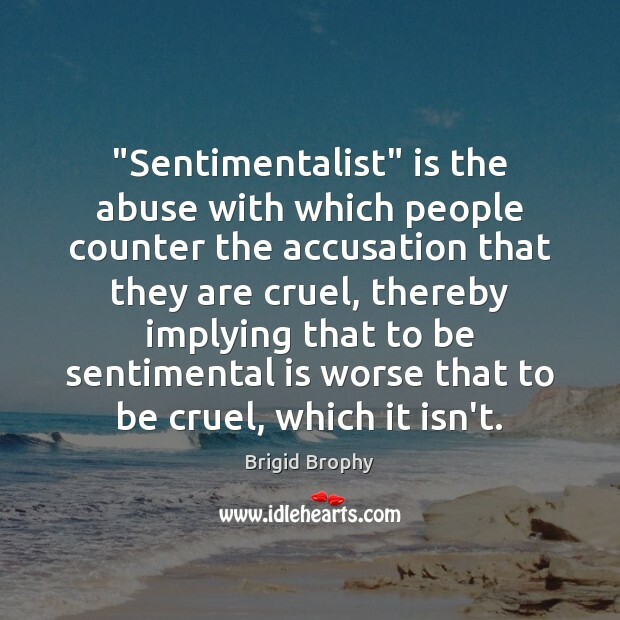 "Sentimentalist" is the abuse with which people counter the accusation that they are cruel, thereby implying that to be sentimental is worse that to be cruel, which it isn't. Look, this debate is basic: it's small government vs. big government. 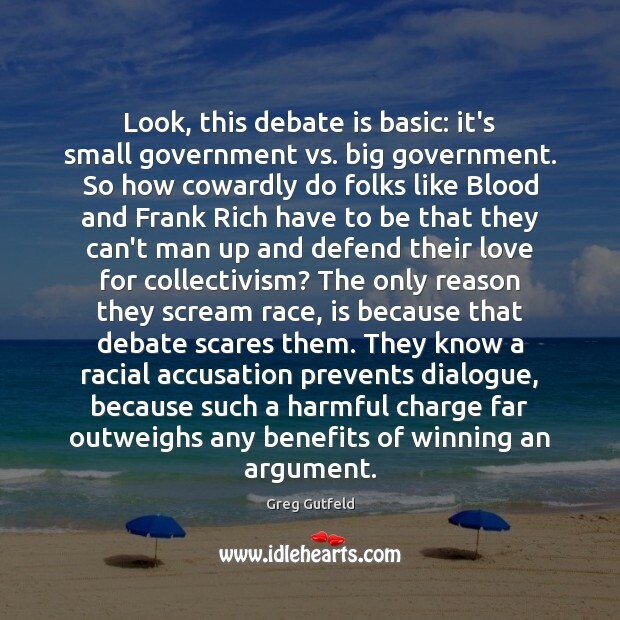 So how cowardly do folks like Blood and Frank Rich have to be that they can't man up and defend their love for collectivism? The only reason they scream race, is because that debate scares them. They know a racial accusation prevents dialogue, because such a harmful charge far outweighs any benefits of winning an argument.